The world seems quite angsty right now don’t you think? (Or maybe it’s not just ‘now’, maybe this is a new ‘normal’.) Everywhere I look there seems to be hurt feelings, self-esteems taking a hammering and in general, a lot of crankiness and upset-ed-ness. Which makes me think this is as good time a time as any for us all to try and look out for each other better. Now I can hear your protests from here! But this is part of the problem right? 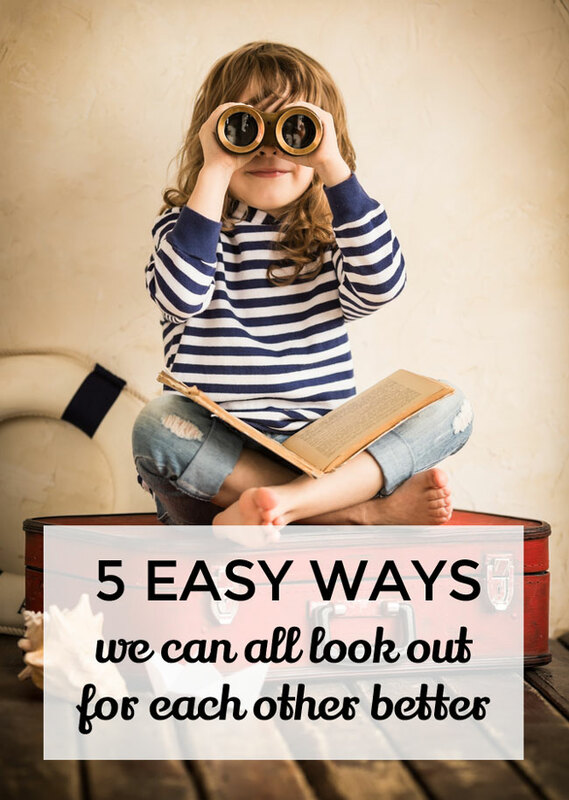 A vicious cycle starts: we’re struggling so we can’t look out for anyone else … but everyone else is struggling too so they can’t look out for US! So isn’t it good to know that looking out for people beyond the walls of our own homes doesn’t need to involve grandiose actions? That it can take the form of the simplest things? And as with all simple things – if they’re done by many people at one time, cumulatively, they make a huge difference. It’s so easy to feel disappointed by other people; it only takes an offhand comment on Facebook, a terse tone in an email or a missed coffee date with barely an explanation. Sure if someone is letting us down on a regular basis, then yes, we have every right to feel disappointed. But outside of repeated occurrences, I think there’s a lot to be gained by assuming someone’s behaviour has no malicious intent; that there might simply be a bit going on in their lives. If you’re like me, when you’re struggling a bit, you can feel a little invisible because you tend to withdraw into yourself. That’s why it’s really nice when someone notices (for example) that you were a bit quiet at school drop-off and sends a little text or message saying “are you ok?”. Knowing someone cares, especially when they’re not related to you and thus not obliged to care, well that’s really nice. And it’s “caring when you don’t have to” that underpins “community” isn’t it? The worst thing about these two things? They generally beget more of the same and usually leave people feeling pretty ordinary at the end of an exchange. That’s why I always cheer a little when I see someone respond to snarkiness with politeness – it breaks the cycle. This doesn’t just positively affect the people involved in the exchange, but also everyone else witnessing the conversation. But if you HAVE to click, maybe don’t share it. Please! We all despair about the content on popular websites these days. We despair that such content basically amounts to adults bullying adults and that it makes people feed bad about themselves. The thing is, websites wouldn’t run that content if we weren’t reading and sharing it. I think many of us click on these links so we can be part of conversations around the topic later. But I wonder – is this stuff we really need to be talking about? Truly, I know this is easier said than done (I myself do not seem to be able to get more than 6 hours a night at the moment … and that’s not enough for me to be my most chilled out and respectful self). But I reckon if we all prioritised sleep a little more highly, we’d be so much better placed to notice each other’s struggles, and provide the necessary sensitivity and support. 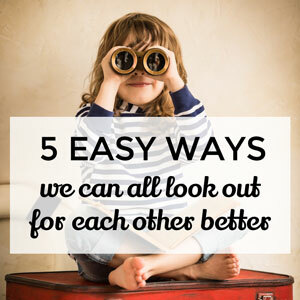 Anything else you think we can all do to better look after each other?